Overcome the limitations of the standard lens in your LCD and DLP video projector which only works in mid-size rooms. The limited projection range of these lenses makes them inadequate for many projection applications. 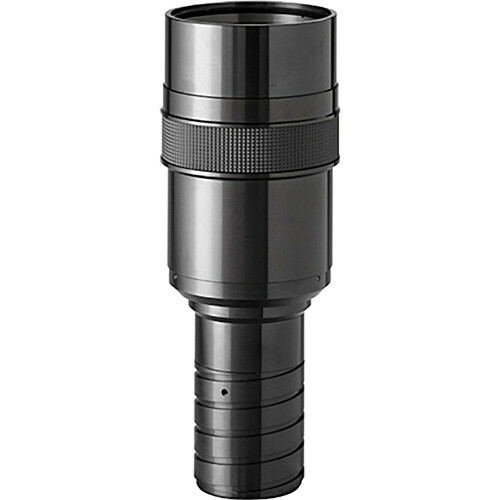 Delivering bright, sharp images at an affordable price, Navitar's NuView 495MCZ900 is a 150-230mm f/3.5 (6.0-9.0") high resolution long throw zoom lens that replaces the existing prime lens on the Sanyo PLC-XM100 or PLC-XM150. This allows you to choose the projection distance and image size by simply rotating the lens.